This blend is designed to support healthy immune functioning and may be especially helpful during winter when you want extra ammunition against common ills and chills. It assists the body’s natural processes of recovery to help you get you back to health safely and quickly. Suitable for diffusion, inhalation or bath. 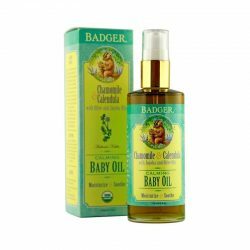 The Everyday Organics Infant Massage Oil by BUDS is made from Sunflower and Olive Oil is nothing but perfect for your baby and can be used whenever your baby wishes it.